if I use one PC at my home and use another at office how could I use the same file?! if I want to use a word processing software do I need to install it every PC I am using?!! do I have to purchase a word processing software for my smart device too?!!! Oh I am tired, I don’t want to purchase and install so many times. For this problem these online word processing softwares are the solution. Dropbox!!! I really like their service. It is the simple and best solution. The thing that makes it most powerful is its platform independence. You can install dropbox in any platform. Also if you don’t have any time to install it, you can simply download your files by web login in the dropbox website. Just try it, experience how easy and simple the software is. Did you meant photoshop?!!! ow man are you kidding? Nop, I didn’t meant photoshop. Of course not, but actually it serves the purpose. Yes you can edit your photos like photoshop through your webbrowser. Ya its true and its there. There are many of them but I have to choose the best. I’ll go for pixlr. This is actually not for me. Its for the CIVIL, MECHANICAL or ARCHITECTURAL engineers. But I really like it because its really great to have the enormous functionality through your browser. Also it is provided by autodesk company. I believe if you visit the site you will also become amazed. This webservice actually proves how strong a webservice can be. There are lots of flash games. Do I need to mention them?!!! no no. It is online 3D games. It is kind of game that I like most. The strategic games. Most of the strategic game lovers love C&C very much. They have their latest release as online service. 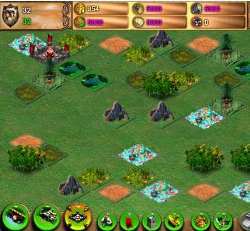 This version is named as Command and Conquer Alliances – Home there are also some free online 3D games. For example you can try Divine General . Sorry I for sharing only strategic games. Actually when talking about games I automatically think of strategic game always. Yes. We need to move on, and these online apps are the future. We, the software developers also need to be expert to provide the best webservices to people. Box is another storage zone. Its great that you have suggested your favorite one. There are lots of options like Sugarsync or amazon storage. I just shared my favorites. Yes, I am almost switched to the online version for all of my purposes. Soon I’ll post another article about some more interesting online tools for developers.